I love museums and they are an integral part of all my travels. The trip to Uzbekistan was no different and I visited quite a few museums there. In the case of one museum, I took it one step further — I added one destination to my Uzbekistan itinerary, only because of that museum. The destination? Nukus, in the remote Karakalpakstan region of Uzbekistan. The museum? The Karakalpak Museum of Arts, which houses the Savitsky Collection. The story of how this museum (known locally as the Nukus or Savitsky Museum) came to be is straight out of a “believe it or not”. Like most stories, it has:. Our story begins in 1950, when Igor Savitsky (1915–1984) joined the “Khorezm Archaeological and Ethnographic Expedition led by the world-famous scientist, Sergei P. Tolstov” as the artist for the expedition. 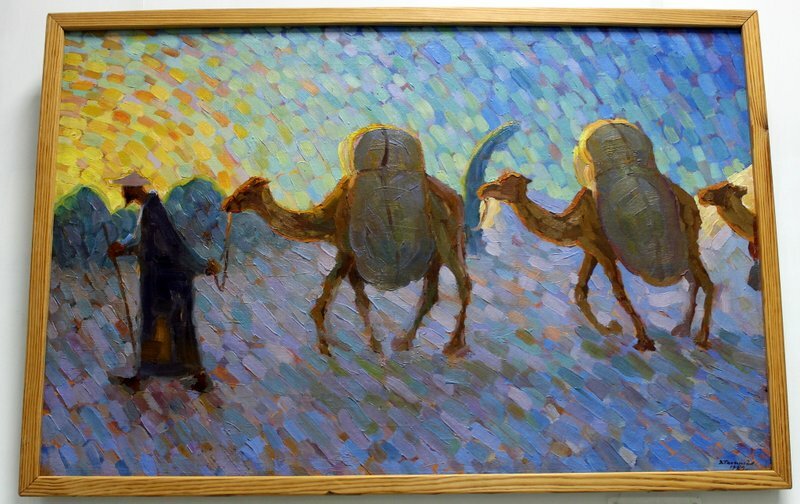 For Savitsky, it was love at first sight as far as Karakalpakstan was concerned, and when the expedition got over 7 years later, he stayed back in Nukus. 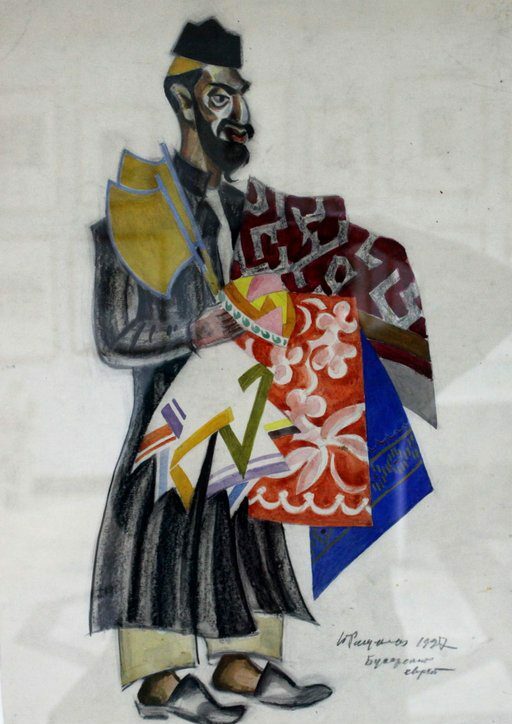 Savitsky was so fascinated with the culture and art of Karakalpakstan that he had started documenting and collecting artifacts from the region — carpets, weaves, textiles, jewellery, woodwork, etc. 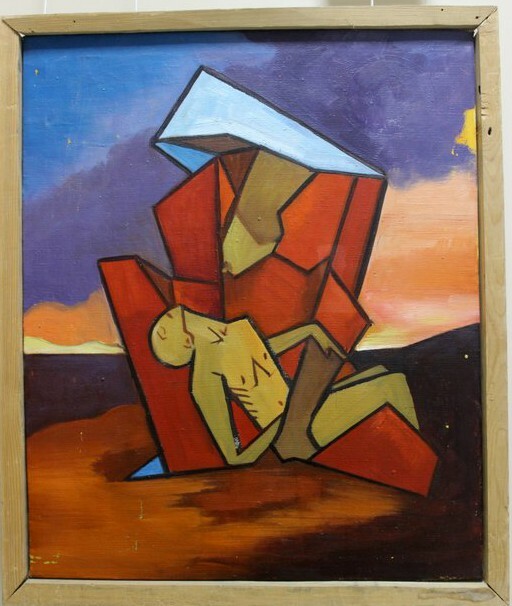 Somewhere along the way, he also started acquiring works of art that were considered politically unacceptable to the communist government of USSR, and were in danger of being confiscated or destroyed. 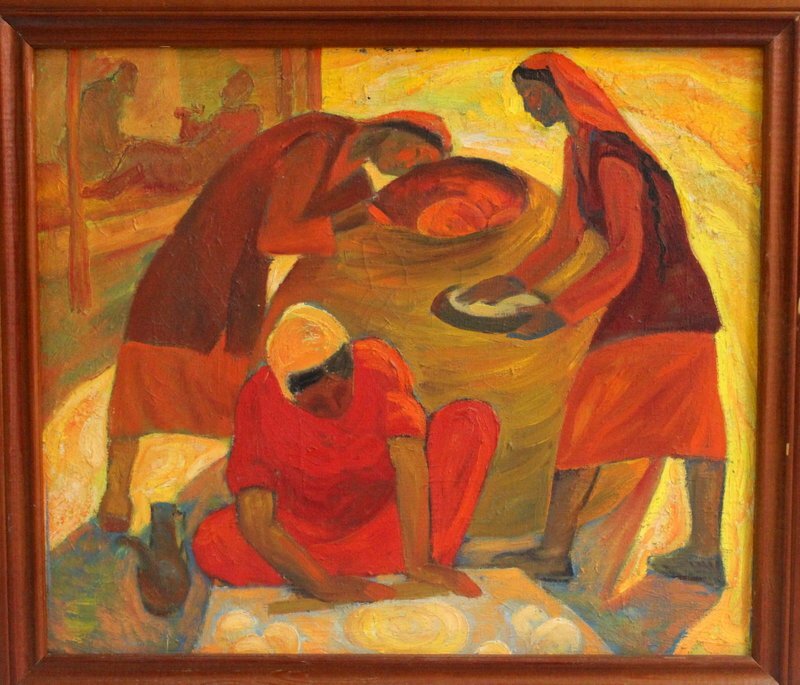 Most such artworks were acquired in the late 1950s and 1960s; the artists were from Central Asia and Russia. The collection grew so large that the need for a museum arose. 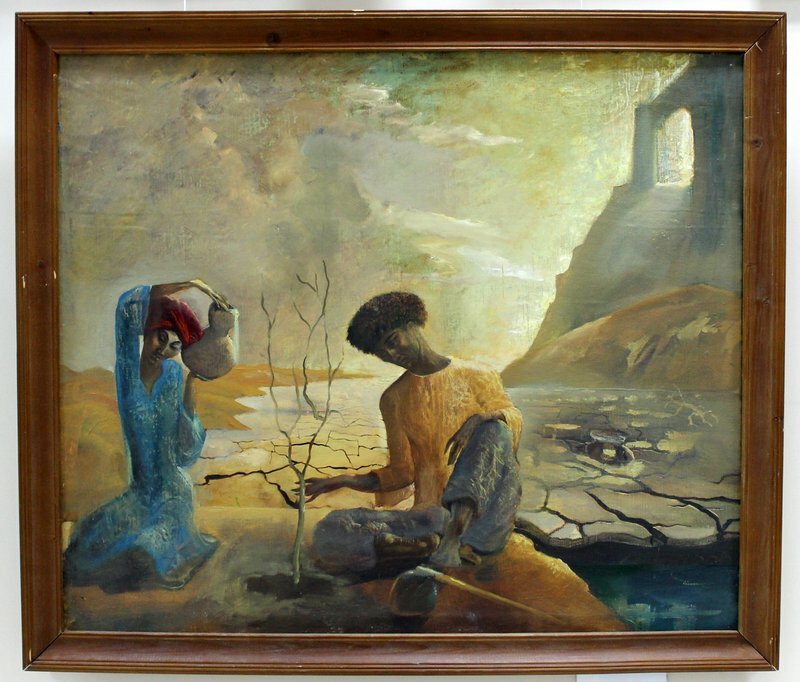 The authorities were “persuaded” and in 1966, the museum was opened in Nukus with Igor Savitsky as the curator. [Nukus is still a remote location today and one can only imagine how much more isolated and remote it would have been about 50 years back.] Over the years, the collection of banned and unpopular art grew as art dealers, friends and the artists themselves helped Savitsky source and acquire such work. 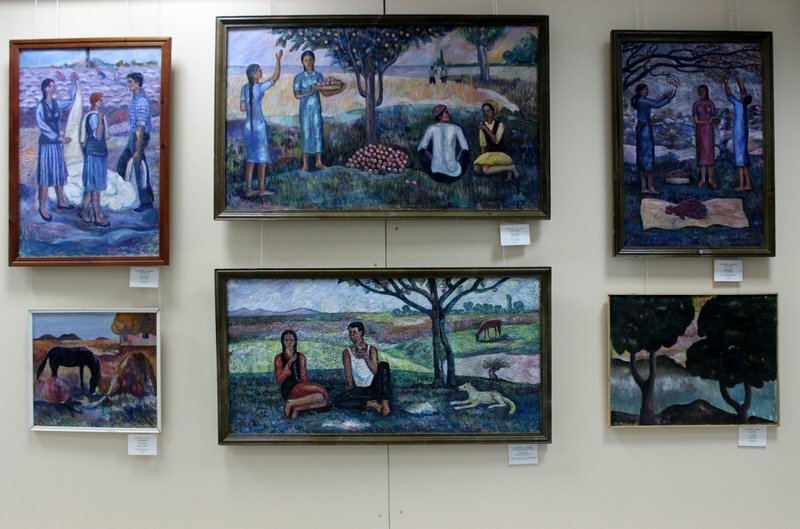 Local Karakalpak art, as well as archaeological finds, too, were added to the Savitsky Collection at the Museum. Today, the Museum has over about 90,000 items in its collection, including the second largest number of Russian Avant Garde art in the world. However, only a fraction of that collection is on display for the public. This story was intriguing enough for me to want to visit the Museum and remote Nukus became the place I began my Uzbekistan trip. I was so eager to see the Savitsky Collection that I headed to the Museum directly from Nukus Airport. It was about 11 am on that September morning, when I stepped into the rather unimpressive looking Museum building. The Museum offers guided tours, but unfortunately for me no guides were free at that time. Confident that I could navigate the Museum on my own, I decided to explore and understand it with the help of the information cards available. After an hour of wandering through the Museum and looking at the exhibits, I gave up. I was feeling quite lost in the sense that I was not able to understand the paintings. Sure, they were all fantastic works of art, but beyond the obvious I was neither able to understand the context of the art nor comprehend the sub-texts or the reasons why they were so controversial. As I was debating over whether go to my hotel and come back later, or take a short break and then attempt to explore the Museum once again, a staff member came up and said that there was a guide available and would I like to avail of her services? I agreed immediately and for the next 3 hours experienced one of the best guided tours I have ever been part of in a museum. The Museum has five galleries and we started with the Archaeology and Ancient Khorezm Gallery. I couldn’t have asked or hoped for a better introduction to the ancient civilizations that had thrived here to its rich and diverse culture to Zoroastrianism through pottery fragments, rock etchings, coins, ossuaries, etc. I got introduced to the Amu Darya river here, the lifeline of the region. The Amu Darya has changed its course many times in history and along with it the fortunes of the people dependent on it. The fickle nature of the Amu Darya earned it the local name of the “Mad River”. Little did I realise at that time that it would accompany me literally and metaphorically through most of my Uzbekistan trip. Please click on any of the photographs to start the slide show and to see the details and the explanations. 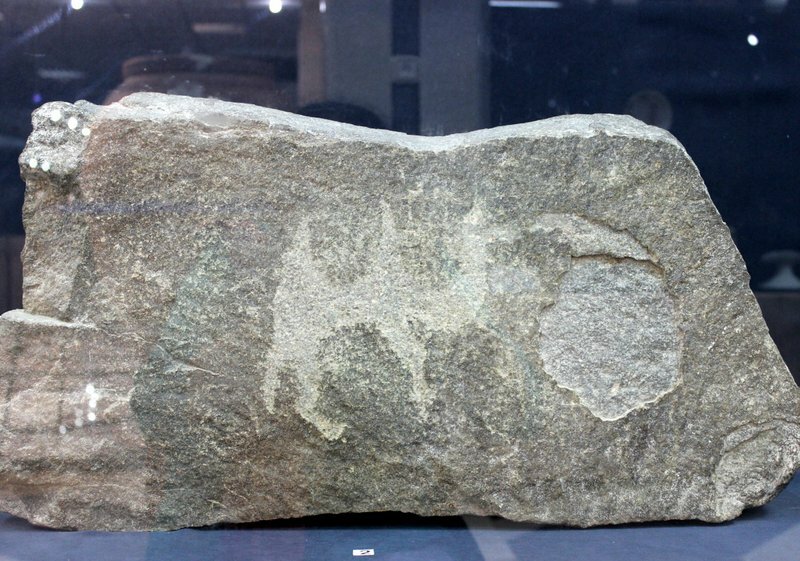 “Camel on the rock” was found in the Bukantau Mountains in the Kyzyl-Kum Desert. It dates back to 2000 BCE. 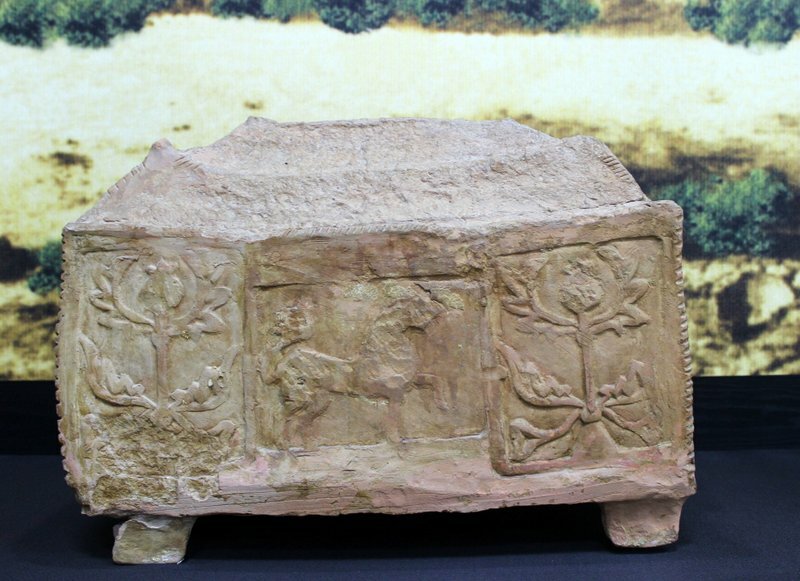 Box shaped Ossuary from the Mizdahkan Necropolis near Nukus, 2nd-6th Century CE. 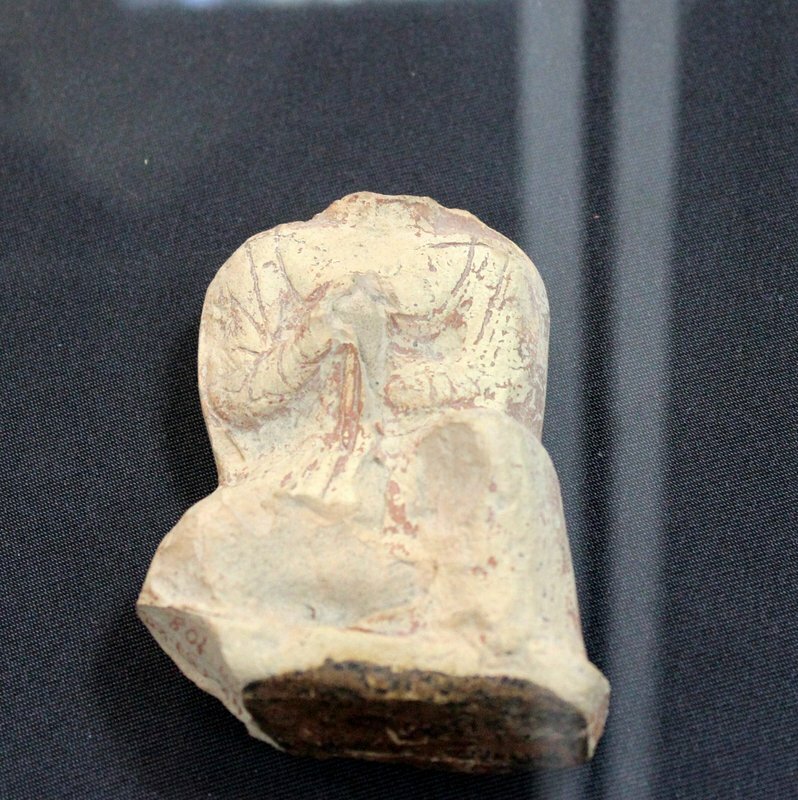 A small headless Buddha statue found in the region. Though Buddhism did not get established in the region Buddhist monks are reported to have travelled through the silk route. It is possible that this came into the region with a merchant or a monk. 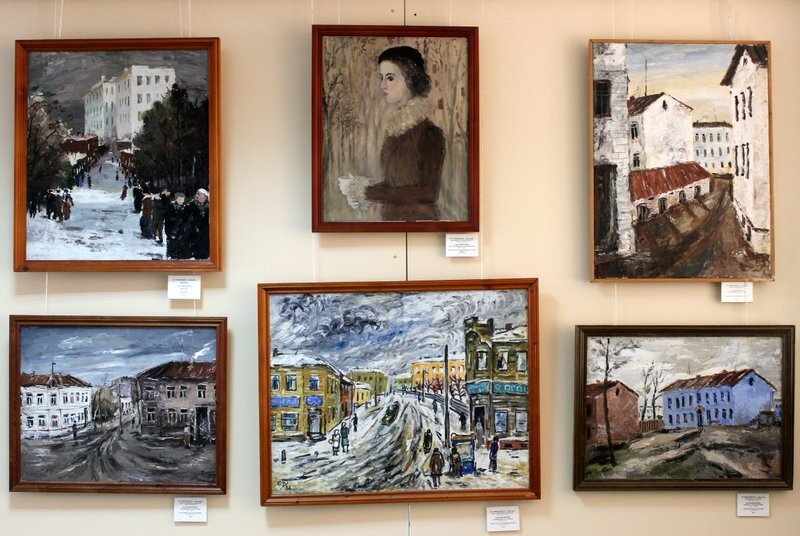 The Karakalpak Folk Art Gallery has the largest number of exhibits and it was this art and the culture it represented that turned Savitsky into a collector. 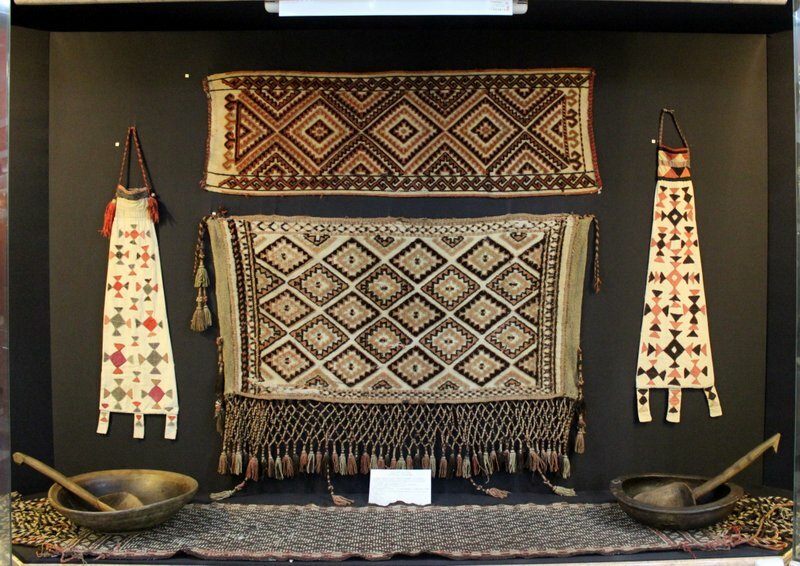 He began with weaves, textiles, embroideries, carpets, jewellery of different tribes, etc. 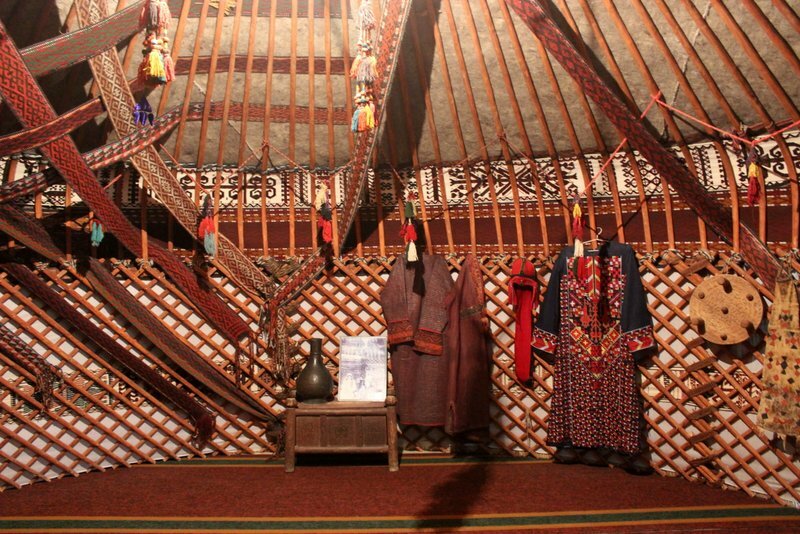 I was fascinated by the main attraction in this gallery — a yurt, which is the movable dwelling of the nomads of the region. Built from a framework made of river reeds, the structure can fold up and be transported to wherever the nomads travel to. It is the job of the men to construct and erect the framework of the yurt. Once that is done, the women take over and ‘furnish’ it. 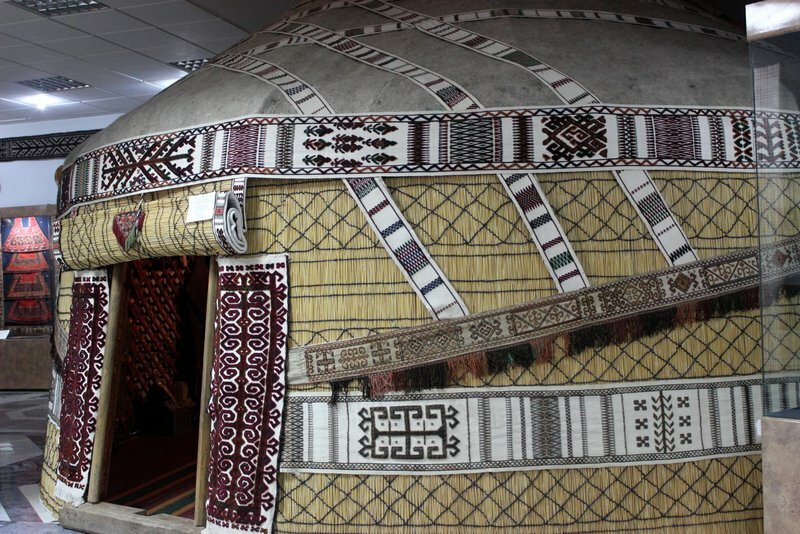 The roof is covered with waterproof felt made from camel wool and the sides are covered with mats made from river grass. Depending on the season, the sides too are covered with felt during winters or left as it is during summers. Inside the yurt, the framework is used to hang clothes as well as store possessions. Decoration is an important part of the yurt and the skills of the women are on full display here ! Patchwork made from pieces of felt. See the black (kara) hats (kalpak) worn by the men in the art work? It is this hat that has given the region its name – Karakalpakstan ! 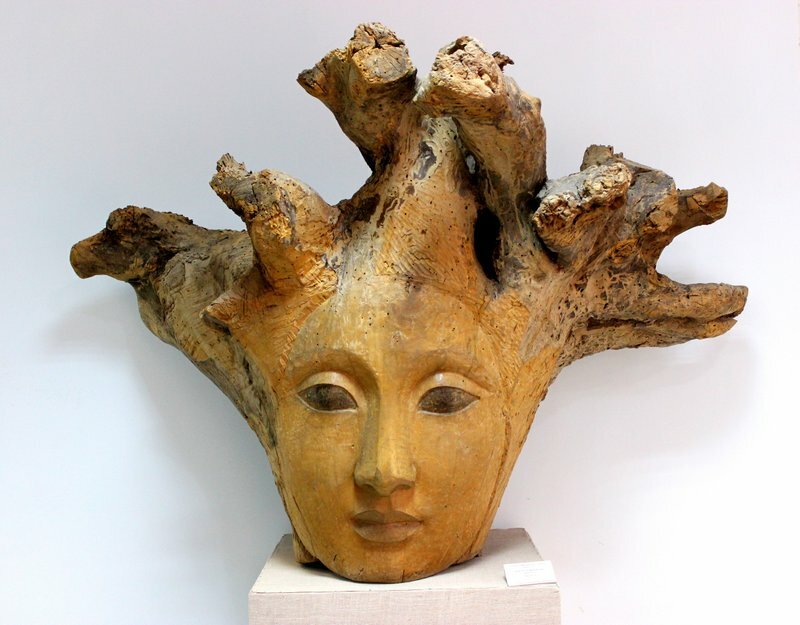 Karakalpakstan has a long tradition of wood carving and the best exhibits in the Karakalpakstan Contemporary Art Gallery are wooden sculptures. Free standing sculptures, masks, doors, columns, musical instruments… the gallery was full of them. I love wood as a sculptural medium and this was among some of the best that I have ever seen. My favourite here was the “Amu Darya”, which is a perfect example of how an artist visualises and creates from nothing. I wonder how long the massive tree trunk would have lain on the dry river bed, with passers-by seeing it as just that and walking away. It took an artist, J. Quttimuratov, to see the tree trunk and then visualise and give shape to it. To some the sculpture may look like the mythical Medusa, but for me it is the fickle, enigmatic Amu Darya that it represents. Please click on any of the photographs to start the slide show and also to see the details and the explanations. 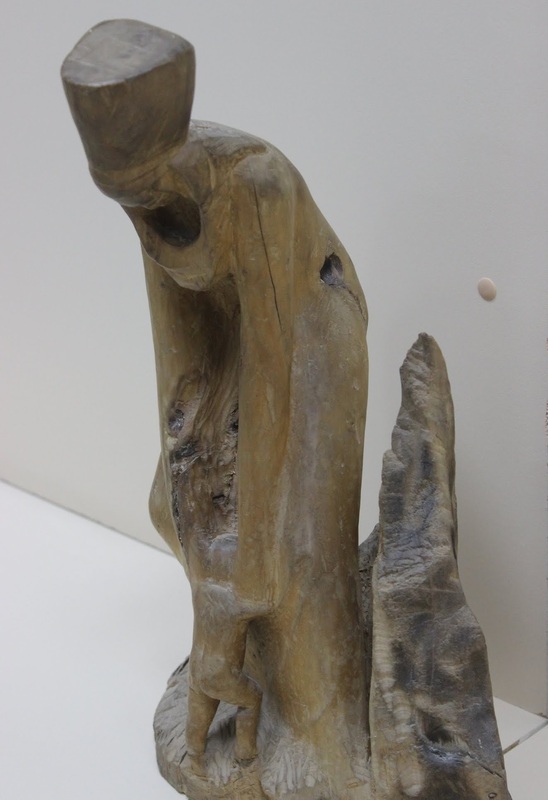 The artist, J. Quttimuratov found this tree trunk in the dry river bed of the Amu Darya. 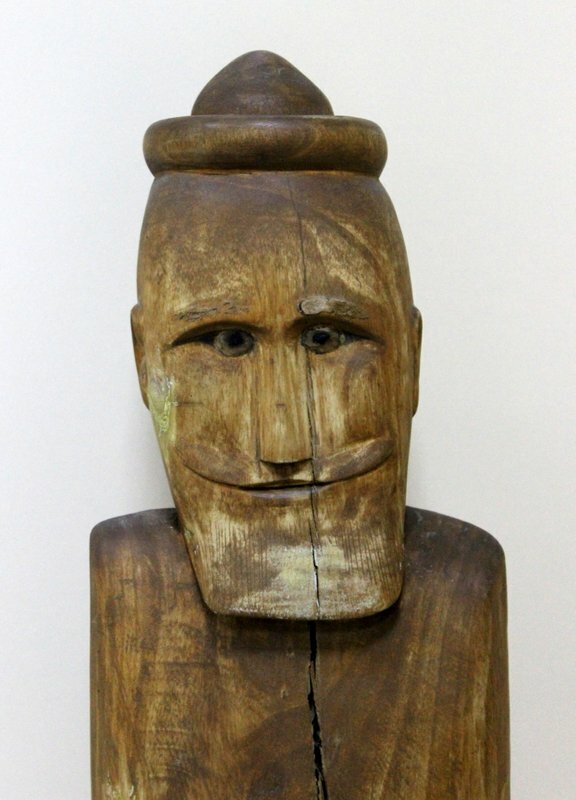 He carved this sculpture from that wood between 1965-67 and named it after the river, Amu Darya. 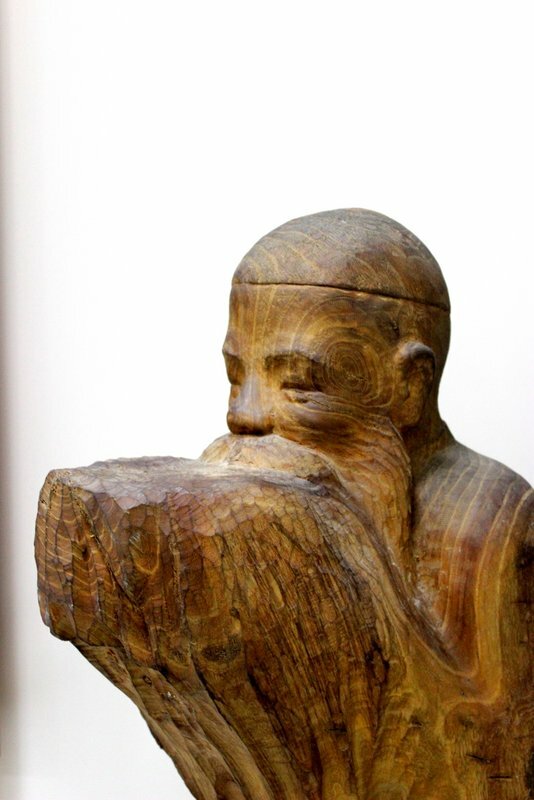 “Old Man” by A. Kenjabaev | Wood. 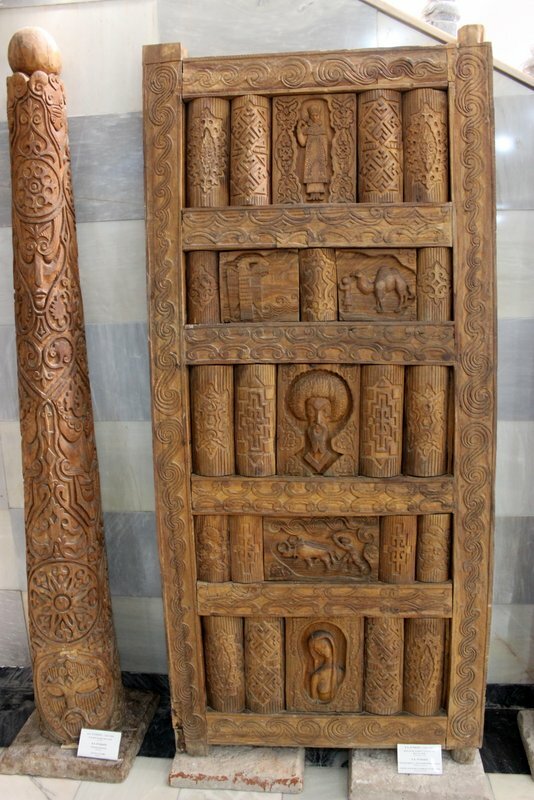 Carved wooden door and column by A.A. Atabaev. 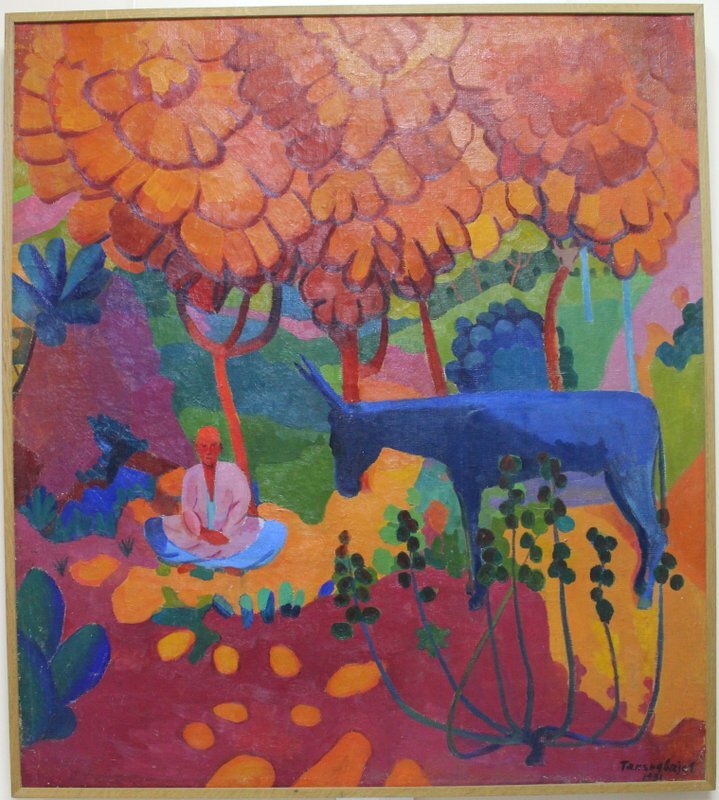 There last two galleries at the Museum are devoted to paintings — the Uzbek Avant Garde of the 1920s-1930s, and 20th century Russian Avant Garde. Both these galleries have art which were considered unacceptable at one point. Uzbek art, and for that matter art in Central Asia, is influenced by Islam, due to which representational art is forbidden. And yet, the region also has a traditional of miniature art form. 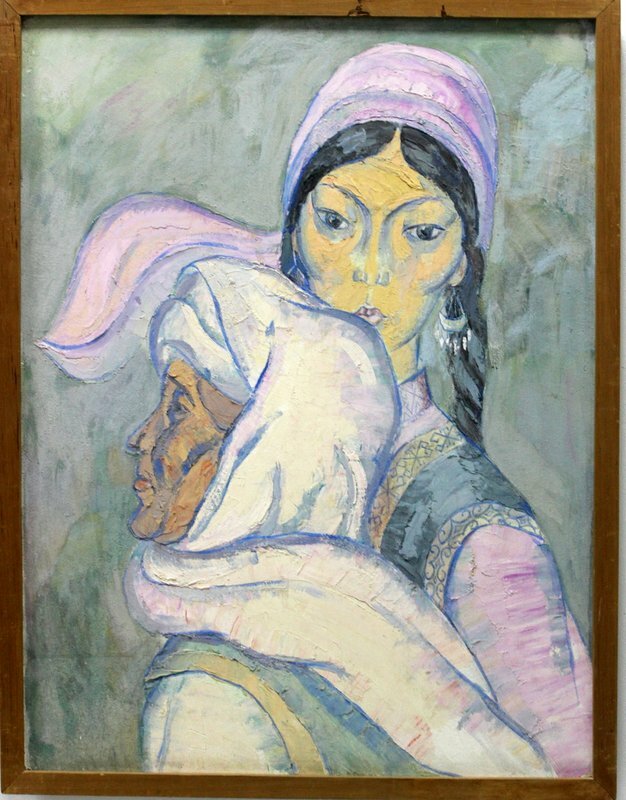 The 1920s and the 1930s saw a great churning in the art world in Uzbekistan leading to works of art that came to be classified under “Realism”. These were depictions of daily life in the region. 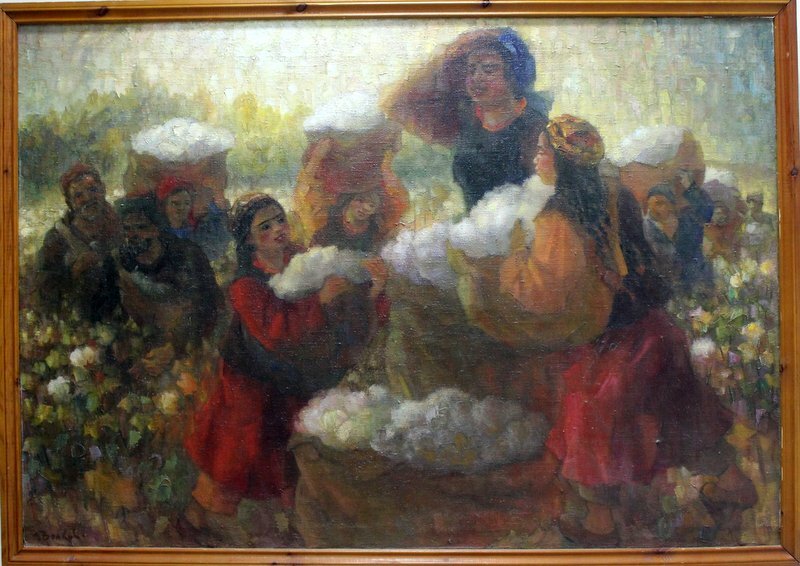 Some examples are cotton picking, bread baking, portraits of people, etc. — all works that were not well received and over the years forgotten or simply lost or destroyed. Savitsky spent a considerable amount of work tracing these works of art and ‘rescuing’ them, and adding to the Museum’s collection. Avant garde is a French term and it means new or experimental or innovative work in the field of art which took root in Europe at the turn of the 20th century. Impressionism, post-impressionism, realism, graphic art and many other forms of art shaped up and grew. Almost two decades later, the Russian Revolution gave further momentum for expressing a whole new social order through art. But in April 1932, a decree “On Restructuring Literary and Artistic Organizations” meant that there could be only one kind of art — Socialist Realism. Thus, art no longer had an aesthetic value here, but was instead a propaganda tool for promoting Soviet ideals, thoughts and policies. Therefore, artists could not create anything in the way they saw it; instead, all art had to fit within a certain framework. In other words, creativity did not have a space anymore in this framework. This was political art at its best. The popular motifs used were happy and healthy looking working class (see photo on the right), cheerful school children, sunlight, the youth, technology, industry, etc. Any art (or literary work) that did not meet these standards was confiscated or destroyed. The artists could be placed under surveillance, jailed or exiled depending on the severity of the ‘crime’. The persecution was relentless and many artists chose to paint in secret and never exhibit. 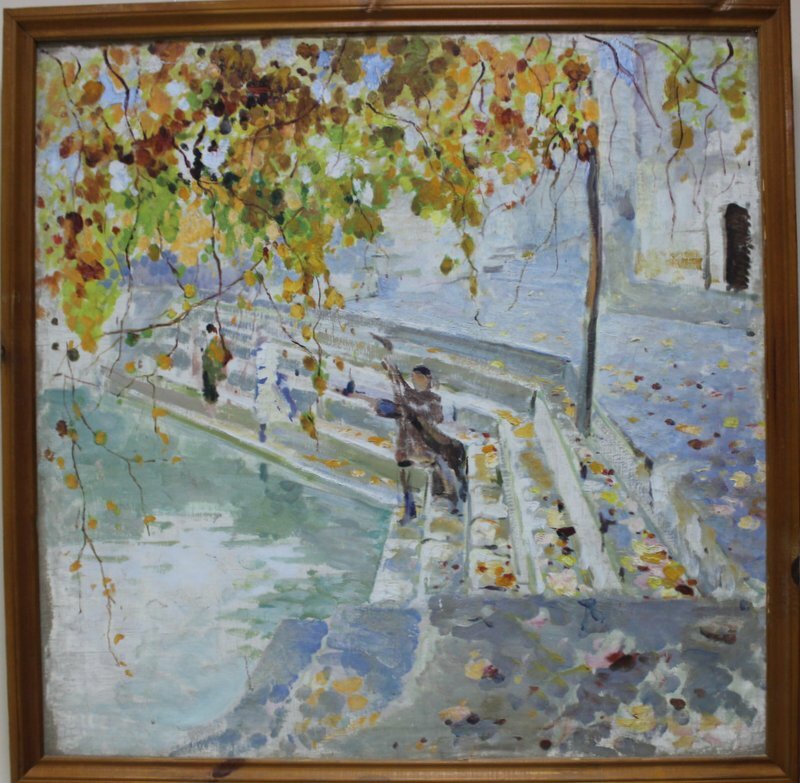 These were the paintings that Savitsky acquired one by one. 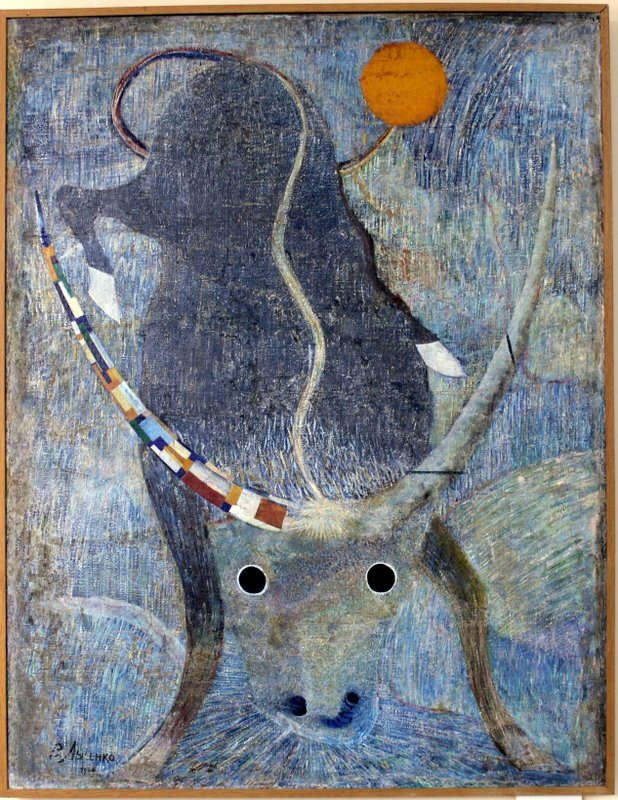 “The Bull” by V. Lisenko, oil on canvas, 1929. This is, perhaps, the most famous of all the paintings at the Museum and also the one that was hated by the Soviet authorities. As for me, I didn’t hate it, but felt that the bull was following me wherever I went. After the guided tour was over, I went back to the galleries to have a final look at the various works of art and linger over my favourites there, some of which I have shared in this post. There was a sense of wonder that these paintings were ‘found and saved’ by Savitsky. There was also a sense of wonder at such an astonishing and extraordinary collection of art in such a remote region far away from popular tourist sites. I did realise that Savitsky could not have done what he did without the Soviet authorities either aiding him or conveniently looking the other way to facilitate the collection and the building of the Museum. The question, though, is why did they do it? Was it because Savitsky was a Russian? Or was it because Savitsky had the influence and clout to do what he did? Or was it because the Soviets felt that Nukus was too remote a place to affect or counter their propaganda and ideal of socialist realism? I saw just 7-8 other tourists at the Museum on the day I was there. While I am aware that art and museums are not something that everyone appreciates, especially while travelling, I feel that it is a shame that not many people are visiting the Savitsky Museum. 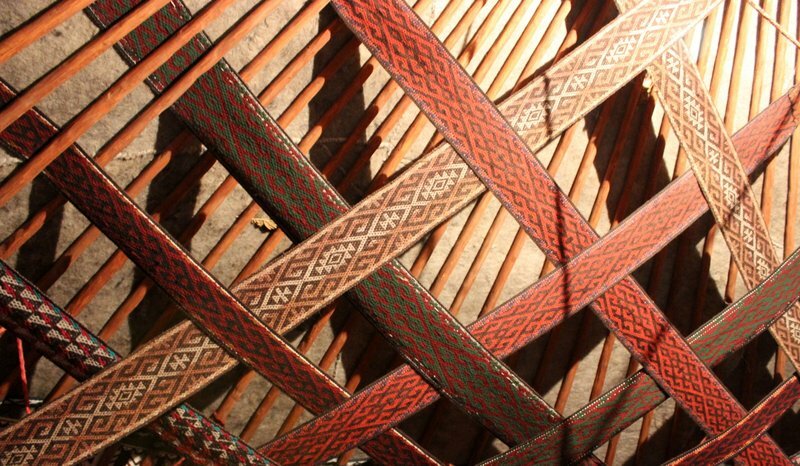 And most of all, I am thankful that I included the Museum (and Nukus) in my itinerary and was able to visit it gaining an insight and understanding into an area of art that I would never have otherwise. Again, beautiful and informative post. I love museums and would love to visit this one. Thank you Lata. While I’m glad that you liked the post and the museum collection, it would be remiss of me to not add a word of caution: you have to love, and I mean really museum and art to want to make a trip to Nukus. It does not have any other tourist sites.